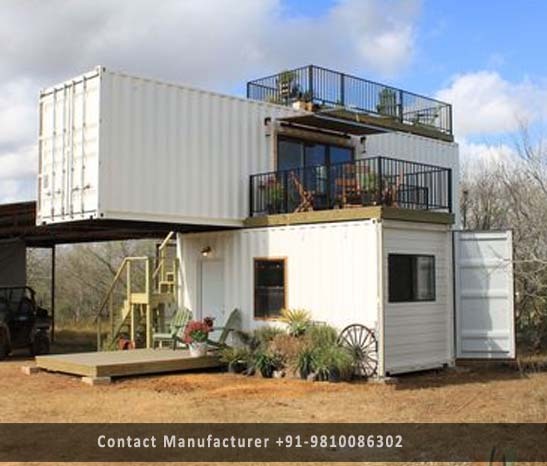 Container Homes Manufacturer in Delhi, Container Homes Supplier in Delhi, Container Homes in Delhi. Owing to our expertise, we are offering a classy range of Staff Accommodation or Container homes. These Container homes can be installed at construction sites. Our offered container is designed by our skilled professionals using the optimum quality raw material. Renowned for its smooth finish and stunning shine, this is made available in various designs, shapes and finishes in accordance with the clients' requirements. Apart from this, clients can avail this range from us at nominal prices within a given span of time.